The ordinance, which the Council passed after more than two hours of public testimony, will allow people to use websites like AirBnB for homeshare, the practice of renting rooms, guest houses, or space in homes to travelers while by the primary owner of the residence while he or she is onsite during the visitors’ stay while strengthening the city’s already existing prohibition on short-term rentals. 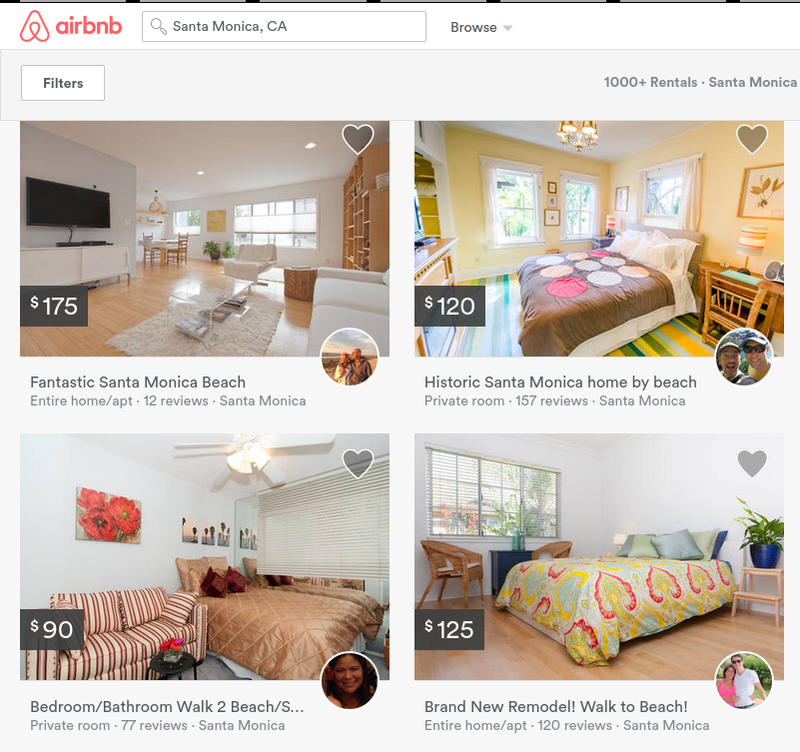 Short-term rentals, during which whole apartments or homes are rented out by absentee owners for less than 30-days, account for about 1,400 of the 1,700 Santa Monica listings on major websites like AirBnB. Under the current municipal code, short-term rentals are already illegal in Santa Monica, but the provision has gone largely unenforced due to the logistics of enforcement. Those 1,400 units in Santa Monica represent a little less than five percent of the city’s 33,717 rental units, but with Santa Monica failing to build enough housing to keep up with demand, losing those units is only making matters worse. The specter of the housing shortage in Santa Monica — and the region — loomed over the Tuesday’s discussion. Last month, pro-labor group Los Angeles Alliance for a New Economy (LAANE) put out a report claiming that property management companies using AirBnB to take homes off the rental market were making a bad problem worse in the Los Angeles region, including in Santa Monica. LAANE has been working with local hotel workers and their unions to push back against sites like AirBnB. Tuesday’s hearing came about two weeks after the City Council narrowly voted to consider amendments to the city’s general plan that would effectively make it harder for new housing to be built. “[W]e heard some testimony tonight by people saying there needs to be more housing in Santa Monica,” said O’Connor at Tuesday’s meeting. O’Connor was one of the three City Council members who opposed the amendments to the city’s general plan. “The housing market right now is squeezing renters throughout the city, throughout Santa Monica,” Roy Samaan, the analyst for LAANE who authored the organization’s report, told the City Council Tuesday night. Gabriella Rosco, a community organizer for the pro-labor group Clergy and Laity United for Economic Justice (CLUE), also spoke to the Council. “We’re seeking to build a beloved community here in Santa Monica, a place that is open to a diverse group of individuals, of ideas, and that doesn’t happen when things like housing are limited and only for a select group of people,” she said. The Council also heard from people who use site like AirBnB, some of whom were supportive of the proposed ordinance. One speaker said AirBnB has helped her afford the home she currently lives in by allowing her to rent out her guest house. Councilmember Ted Winterer pointed out that the new ordinance would allow her to continue listing her guest house on AirBnB, so long as she has a business license. Another person, Andrew Nicholas, spoke saying he was worried about the logistics of the new ordinance, even if it would allow him to continue to share his home. Winterer pointed out that a business license costs about $17 a year and that the transit occupancy tax — 14 percent — would be paid by guests. Nicholas concluded that, as a user of AirBnB, he supported the proposed regulation. The ordinance will come back to the Council for final approval in May.